The reliable source informs Komplenbuster, that the Assistant Minister and a Senior Government Officer is involved in the scandal. The police, the MACC and almost everybody knows about who's Who involved in the scandal..but why still cannot take appropriate action ? Just because the Assistant Minister involves the persecution cannot be made ? 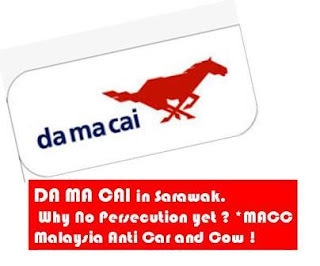 Where is the intergrity of MACC ? Let's all Monitor every movement of the MACC !